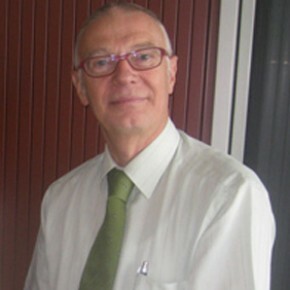 Henk Jan Verhagen graduated in 1978 in Coastal Engineering at Delft University, department of Civil Engineering. After a career in consultancy and work for the Netherlands Ministry of Public Works, he joined in 1991 Unesco-IHE, where he set up a short course in coastal zone management, and was responsible for the coastal engineering programme. In 2000 he became associate professor at Delft University of Technology with focus on shoreline protection and coastal zone management. He teaches bed, bank and shoreline protection, as well as breakwater design. He is involved in several research projects related to shoreline protection. Especially during the employment with the Netherlands government, he was confronted with the fact that managing a coast involves not only civil engineering aspects, but that decision making on the user functions in the coastal zone is often more complicated to achieve that a technical solution for a single aspect. Also it is clear thattechnical solutions, when not supported by proper decision making on beforehand, will not beaccepted by the public, and consequently often considered as “failures”, although from a technical point of view, the solution works properly.